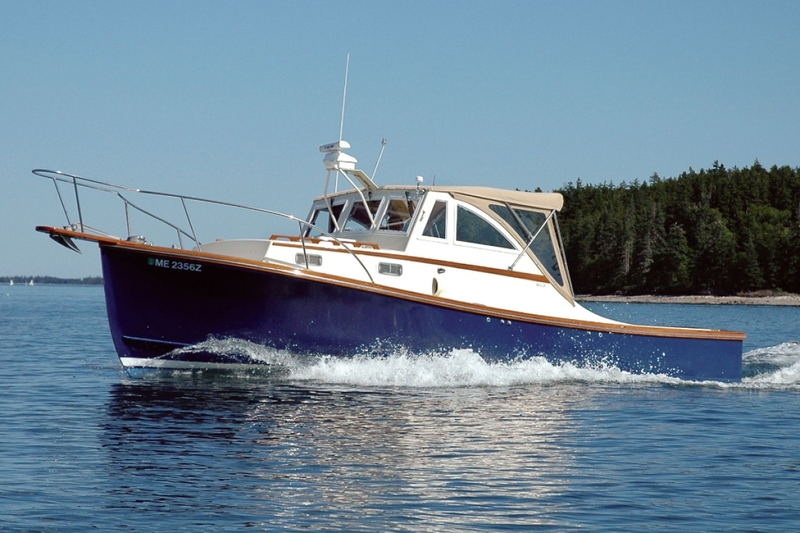 The Ellis 28 was designed by Ralph Ellis to be extremely seaworthy. She is equally successful as a fishing boat, day boat, or weekend cruiser, and her sharp-looking hull will produce a good cruising speed. Many people marvel at the way this boat rides. “She rides a rough sea like she is another 8 feet in length…” and, “she handles like a charm around the harbor…” are two customer comments. Her sea-going characteristics are thanks to Ellis’s Semi-Displacement Hull Design. This boat is not too big to handle, and not too small to cruise the coastline. In fact, most people find her just right. Maybe that is why the Ellis 28 is our most popular model. The Ellis 28 includes four cabin models (Express Cruiser, Lobsteryacht, Extended Top Cruiser, & Flybridge Cruiser) as well as an open boat model (Picnic Launch). When you browse the layout drawings, you will see that the Ellis 28 has many options and accommodations can be simple or lavish – your choice. 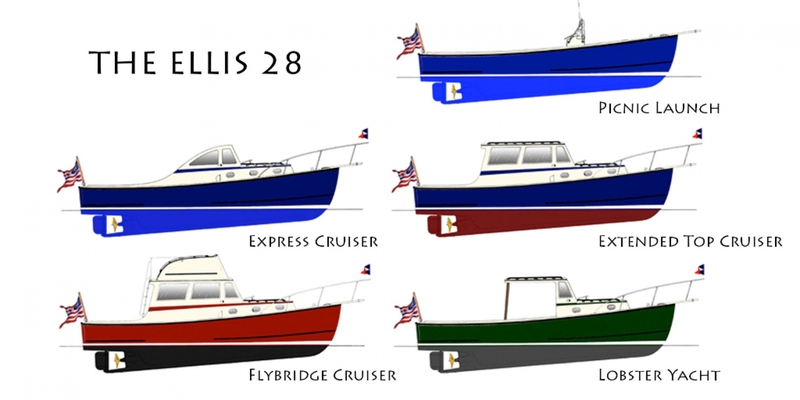 The Ellis 28 – a boat that provides something for everyone!